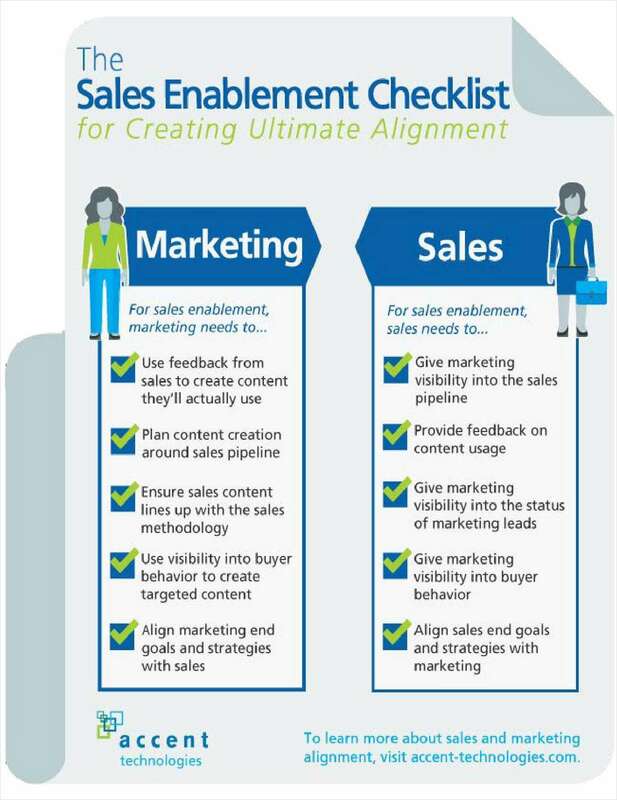 "Checklist: Creating Ultimate Sales and Marketing Alignment"
Free Checklist: "Checklist: Creating Ultimate Sales and Marketing Alignment"
How do you get your sales and marketing teams aligned and working together toward the same goals? This infographic will tell you. By submitting this content request, I have legitimate interest in the content and agree that Accent Technologies, their partners, and the creators of any other content I have selected may contact me regarding news, products, and services that may be of interest to me.